Premier Windows is offering free door and window security checks in response to a growing number of burglaries which exploit a weakness in door locking mechanisms to gain entry. Euro Cylinder locks have been widely used by the UK double-glazing industry, however, an inherent weakness in their design means that they are highly vulnerable to attack – something which is being exploited by a growing number of criminals. Gary Warby, Director at Premier Windows, said: “Cylinder bumping and snapping isn’t completely new but its use as a means of forced entry is up, as the technique is broadcast and is available online on social media channels, for example YouTube. The ‘bumping’ method uses a skeleton key readily available and bought cheaply over the Internet to gain access to the cylinder lock mechanism. Snapping and the forcing of cylinders is now beginning to rival the number of break-ins through bumping. Handles are removed and the protruding part of the cylinder is forced either through the force of an impact or the use of tools, commonly mole grips. Premier Windows offers anti-bump, anti-pick and anti-drill options as standard on all of the doors that we now supply. 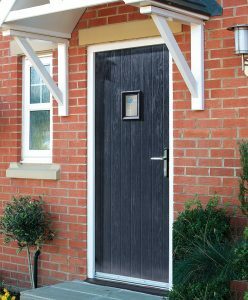 Along with multi-point locking, our ultra-tough and durable high security composite door ranges are designed to keep burglars firmly on the outside. This includes SS312 Sold Secure Diamond rating and TS007:2012 British Kitemark – 3 star rating options. Gary continued: “If you draw an analogy with anti-virus computer software, there is nothing wrong with a product supplied 10-years ago. It was designed to protect against known risk and threat. Install it on your computer today and hackers would make mincemeat of your laptop. For more information about our high security windows and doors or to book your home security windows and doors check, please email enquiries@premwindowsanddoors.co.uk or call a member of our team on 0800 854 353.